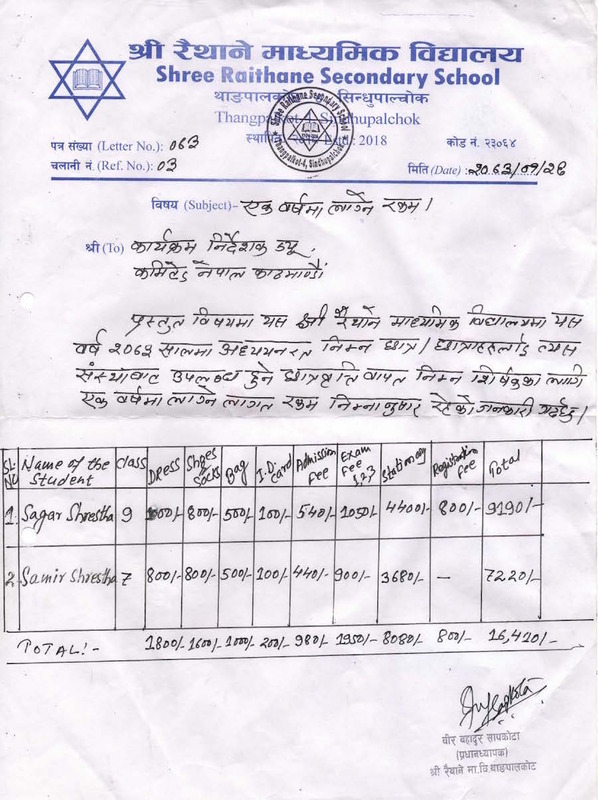 The images below is that of letters containing the educational costs of sponsored students at Raithane School for the academic year 2016-17 (2073). Table 1. Children sponsored by individuals. Table 2. Children sponsored through Nemira-COMMITTED Student Sponsorship Program. Educational costs in US Dollars. These are the sums new sponsors would deposit this year towards the education of a child. Table 3. Children sponsored by individuals. Table 4. Children sponsored through Nemira-COMMITTED Student Sponsorship Program. Coversion rate used Rs. 107.00 = $1.00, rounded to the nearest half-dollar. Click here to go to COMMITTED’s donate page to submit your contribution towards the education of your sponsored child/children for this academic year. 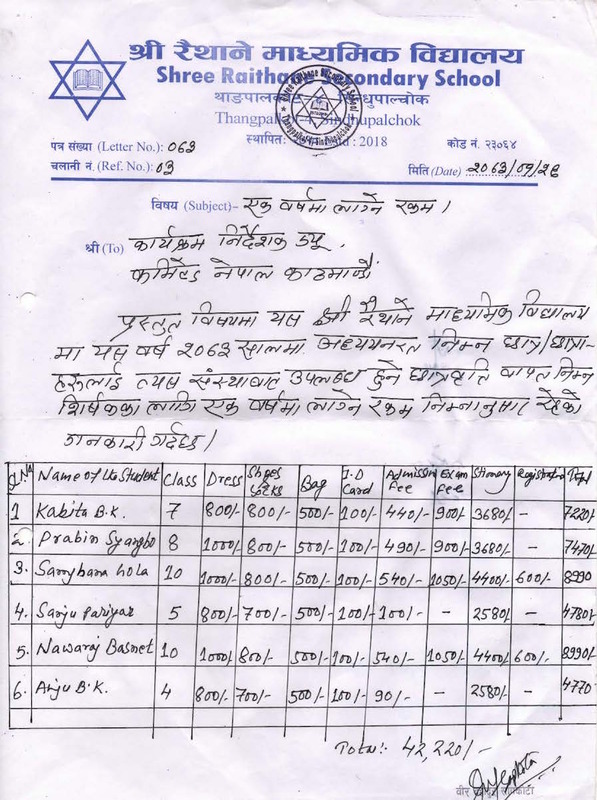 Child Discipline Methods in Nepal By Regions, Zones etc.